If you are looking for trustworthy and reliable residential and commercial Brisbane electricians servicing Capalaba or Capalaba West, who will deliver a quality job, turn up when they say they will and leave your home or business as neat and tidy, give us a call. Unified Electrical is a qualified electrician Capalaba can rely on and should be your first call for all electrical services. We’re Brisbane electricians who provide ourselves on the honest, friendly expert advice we deliver and undertake a wide range of electrical contracting services including ceiling fan installation, safety switch installations, air conditioning supply and installation, and smoke alarm installation. We provide residential electrical services as well as commercial electrical services and our service is backed up with a 12 month full parts and labour warranty. No job is too big or too small for us. 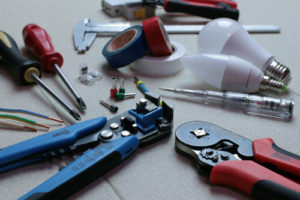 You can call our Capalaba electricians to change a blown light bulb, or to totally rewire your home, office or factory. Unified Electrical has reliable Brisbane Electricians available to service both domestic and commercial properties. If you’re looking for a reliable electrician Capalaba can trust, give Unified Electrical a call today or fill in the Contact Us form and we’ll call you right back.